US Lead Network was founded by David Greene, MD, MBA, with ONE goal in mind. To help medical practices acquire new patients. That was in 2011, and over 100 practices later, the mission is still the same! 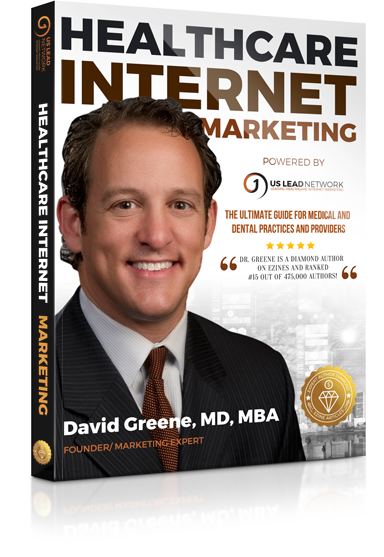 Dr. Greene learned how to generate online traffic for his Phoenix pain management practice in 2008, and over the next year generated 80% of the new patients from his medical SEO techniques. THEN I WROTE A BOOK ABOUT IT. After selling the practice I started helping practices around the country acquire new patients from the web using the techniques. I love seeing practices succeed, it’s why my team keeps pushing the envelope! Dr. David Greene, the Founder & CEO, is a long time veteran in healthcare and medical SEO. He is a fellowship trained orthopedic spine surgeon, who switched to the business side of medicine over a decade ago. He has practiced medicine, owned a pain practice, and worked with over a hundred practices over the years. He is a prolific author, having recently been featured as a Top 20 Expert Author by Ezines.com, the top article directory site in the world. Out of over 470,000 authors, Dr. Greene ranks #15 as an Expert Author and #1 in the Pain Management category. His book, The Ultimate Guide to Healthcare Internet Marketing is available on Amazon. He heads up the content team for US Lead Network and My Healthcare Writer, and oversees all medical and dental campaigns. As an MD and an MBA, Dr. Greene understands all too well what it takes to grow one’s practice cost effectively. With a proprietary blend of over ten ethical internet marketing techniques, the US Lead Network provides online medical marketing for healthcare practices big and small. The online lead generation methods used to generate traffic are multi-faceted, and there are no gimmicks or “black hat” techniques used. The US Lead Network works exceptionally hard to make your practice’s phone ring. We do not believe in one “single bullet” for success. Since the search engine algorithms change frequently, the idea is to produce quality, unique content that prospective patients want to read. The medical content writing team is US Based, with years of experience in all medical specialties. US Lead Network is not a “one trick pony.” Seven services are offered, which amount to a comprehensive approach to any practice’s online marketing efforts. Many practices opt for the company’s pay for performance marketing, while for others the flat fee option is best. With so many medical marketing companies in play, why choose US Lead Network? For one, we are a boutique company. You will have access to the company CEO and Operations Director along with your Campaign Manager. So it is a high touch situation. 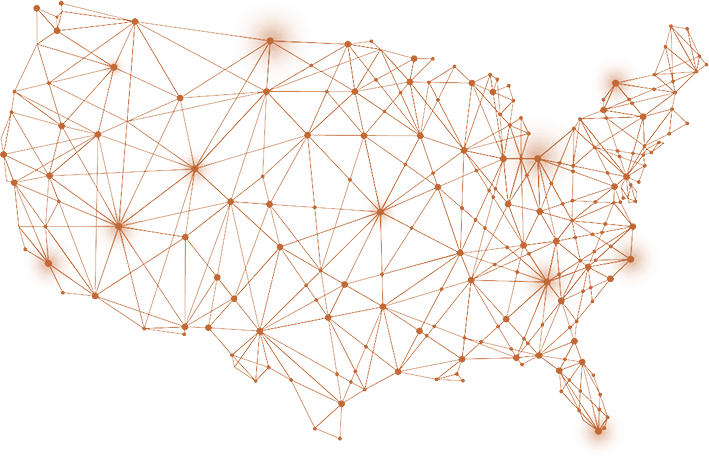 Because we are not a publicly traded company, there are minimal extra layers of overhead. Therefore, our fees are reasonable and not inflated. We do not have “nickei-and-dime” philosophy. We are focused on marketing efforts that get you new patients. If it’s peripheral and simply busy work, we leave that up to others. Everything is designed to make your campaign effective! Our experience is vital to your success. Dr. Greene has been in practice, owned a practice, and now exists to help your practice. His teams have been in place for years (Content, Design, Development, Deployment) and only first rate work product is accepted for you! Cutting edge efforts are used to keep ahead of the curve. This includes keeping up with all the methods utilized for traditional online marketing (e.g. Adwords and Facebook advertising), but also using Big Data to implement Behavioral Intelligence advertising. It works and our team uses it to bring you patients at lower cost and with smarter marketing techniques!